This issue of SEEbtm examines the importance of play for intellectual, social and psychological development and to what extent are early-age play and success in learning – and later on in work – related. 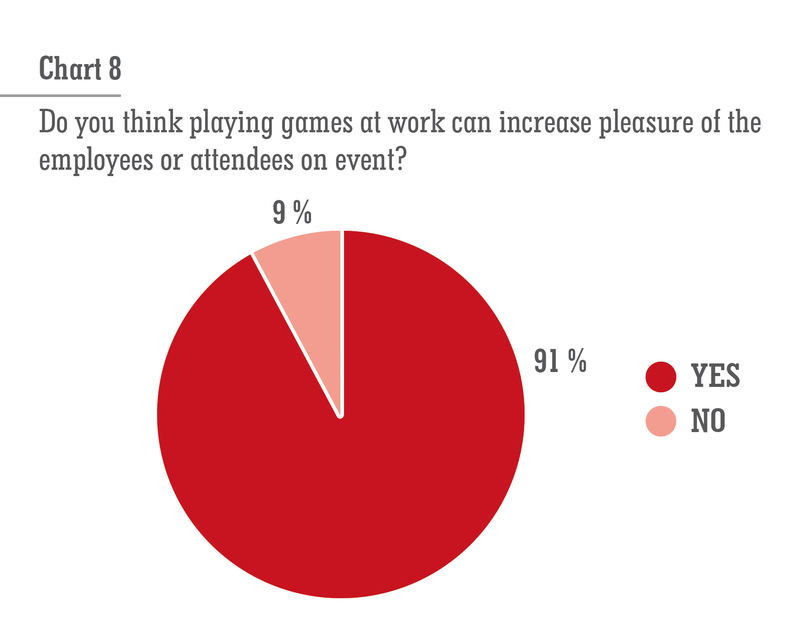 In addition to this, we conducted a survey on how much adult people (employees) play and whether playing tabletop games can contribute to productivity and job satisfaction. 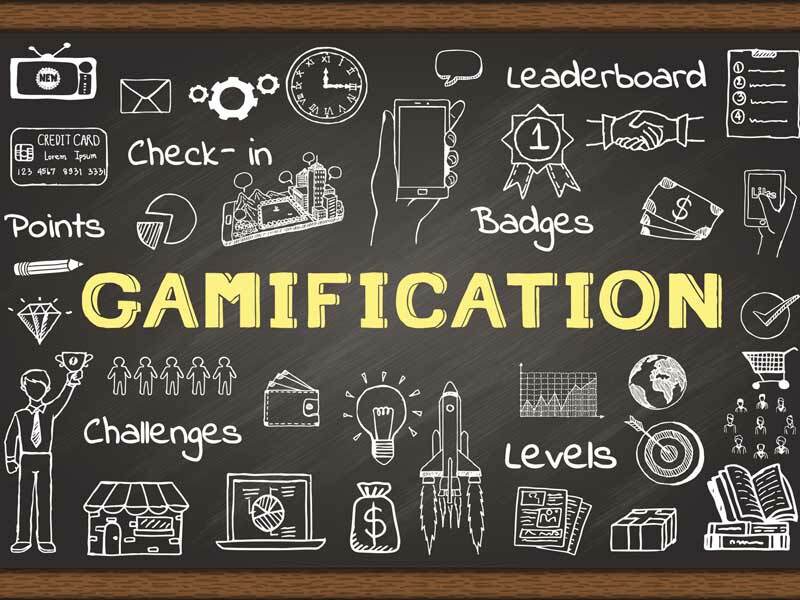 Gamification is a recently coined term that is often used in the context of implementing games in strategies for engaging participants at events or resolving situations and increasing productivity and focus among employees. Games that are used for this can be of different nature, from video games and simulations to various tabletop games and solving physical and logical obstacles that mostly fall under team building activities. 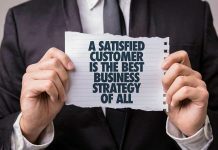 objectives, target audience, and viability. card games. Around 10 % play chess at home, but draughts, Battleship, Clue, and other games are also far from forgotten (Charts 1 and 2). A significant number of respondents (43.5 %) used games at work, most often icebreakers – 35 % and tabletop games mentioned above among games played at home . Brain teasers at work were played by 20 %, while other games such as Solitaire, Minsk and the like were played by 15 % (Charts 3 and 4). 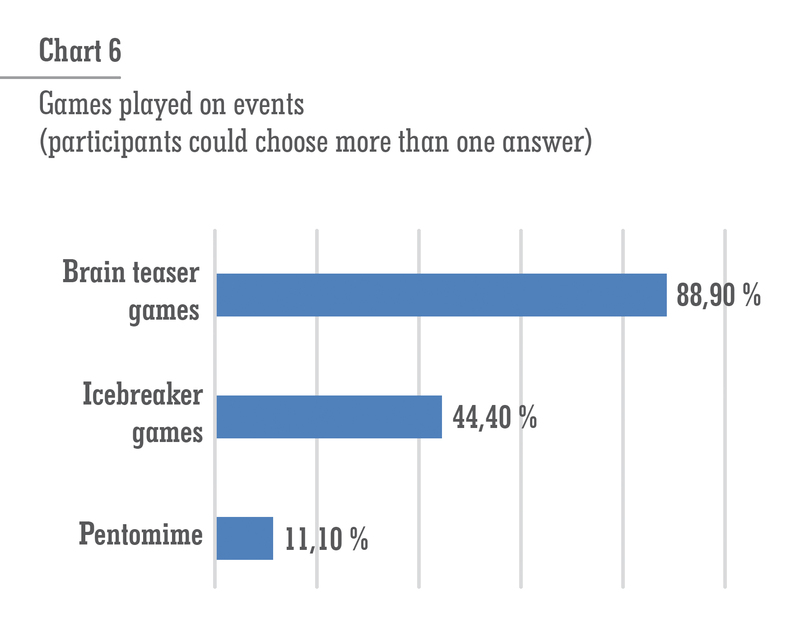 Nearly 40 % of the respondents played games at events, most of them being brain teasers (88.9 %) and icebreakers (44.4 %) – Charts 5 and 6. 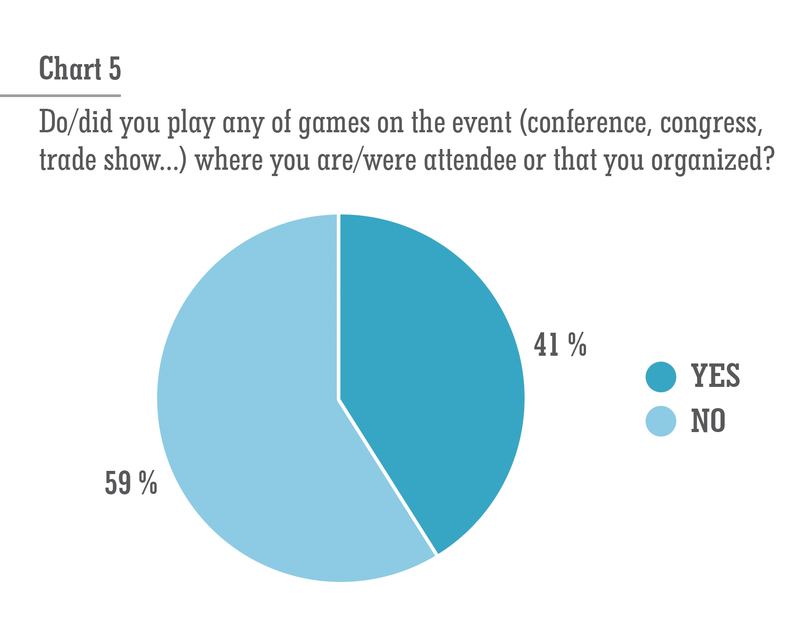 Overall, based on the survey and the respondents’ responses, a large percentage of people play tabletop games at home – almost 90 %, while around 40 % use games at work and events. 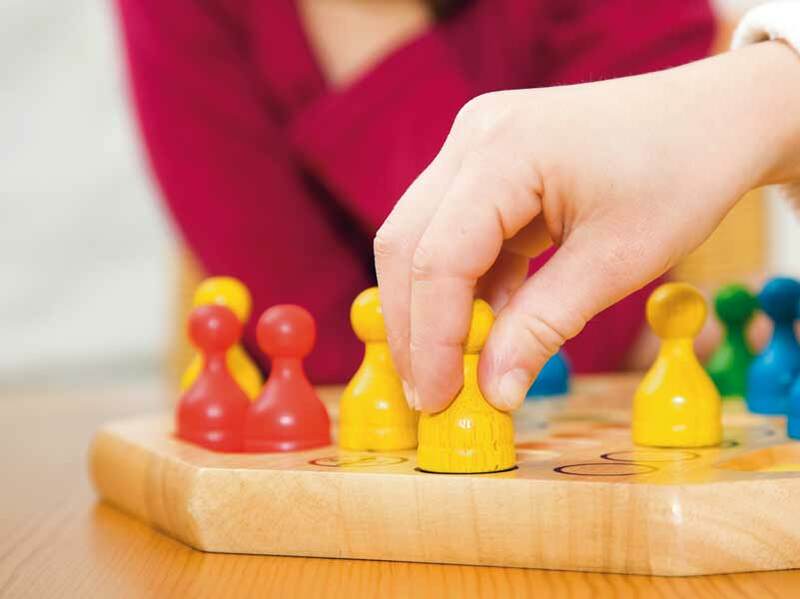 Icebreakers are mostly used for increasing productivity at meetings and at work, while brain teasers are the most frequently used games at events. book. This is definitely an original and efficient way to connect with guests through playing, have them involved and leaving their personal mark. 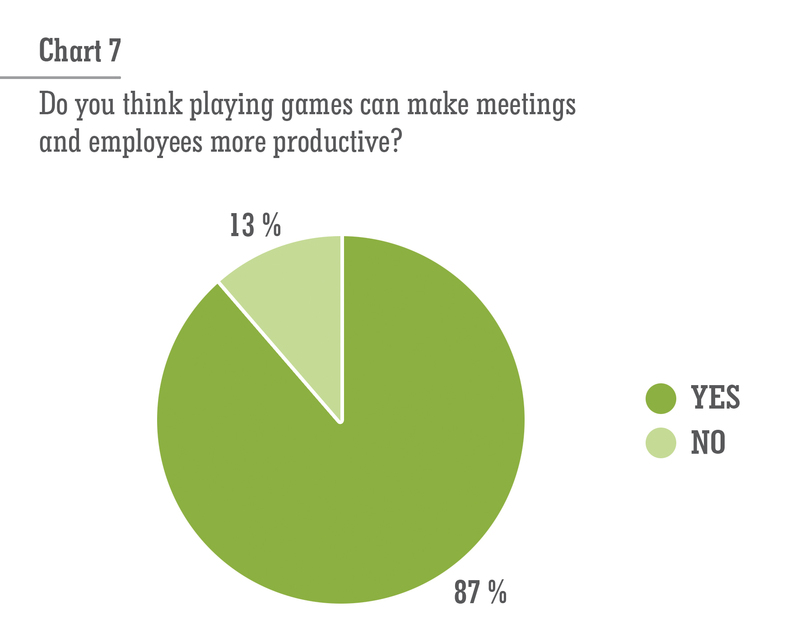 If you’ve never done it before, we suggest that you seriously consider introducing games at work and events, first and foremost because 87 % of the respondents think that playing games increases productivity at meetings and among employees, while a staggering 91 % believe that this most definitely increases satisfaction among employees and participants at events. 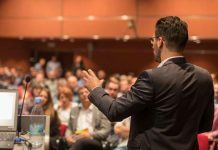 If you’re looking for ways to motivate your employees, increase their loyalty, and optimize your team, as well as ensure your event participants’ satisfaction, the solution is obvious: Let them play games. If you want to move your meeting out of the standard office surrounding and, at the same time, play and be physically active, you should visit a Snap bar in Belgragde’s Francuska street. There, you can play a round of table tennis while having drinks or eating. Organize a mini tournament, have some fun, and maybe you’ll come up with a solution to a problem that has been bothering you for a while. 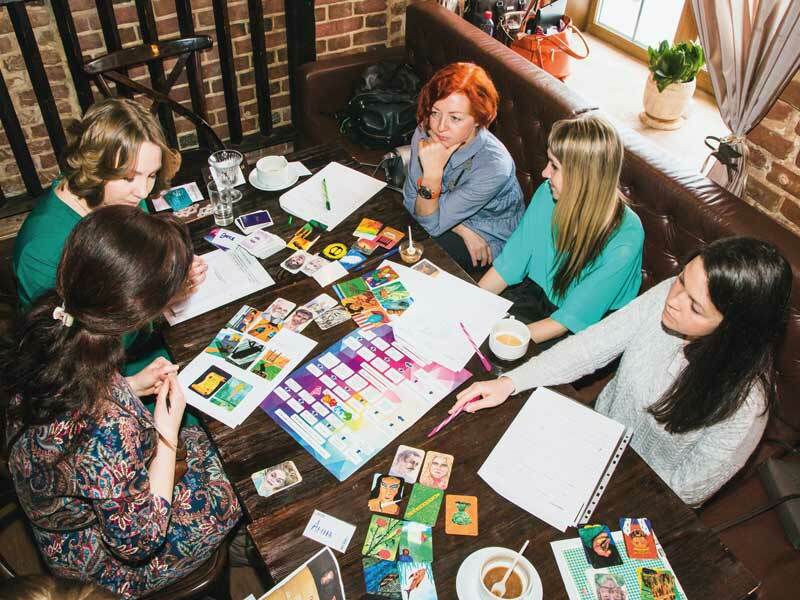 Previous articleHow to Relax and Embrace the Atmosphere at Meetings?